The Hong Kong Economic and Trade Office, Brussels (HKETO, Brussels), joined hands with Create Hong Kong (CreateHK) to support the Hong Kong comics industry's participation in the 46th Angoulême International Comics Festival, France, from January 24 to 27. The Hong Kong Arts Centre (HKAC) and Comix Home Base presented the exhibition "OUAT (Once Upon a Time) Hong Kong Comics Touring Exhibition", featuring the classics and new works of full-length drama comics, by more than 30 Hong Kong comics artists. Five Hong Kong artists, namely Samson Chu, Dolly Lee, Mak Siu-fung, Lee Kin-leung and Yanai met with readers and industry professionals from all over the world in the Festival. Their live drawing demonstrations gave visitors a glimpse of the creation processes and their specific skills. They also gave autograph sessions and talks. Two other industry professionals, the founder of the comics social media and publisher zbfghk, Karman Leung, and comics editor Henry Pang also attended the Festival. 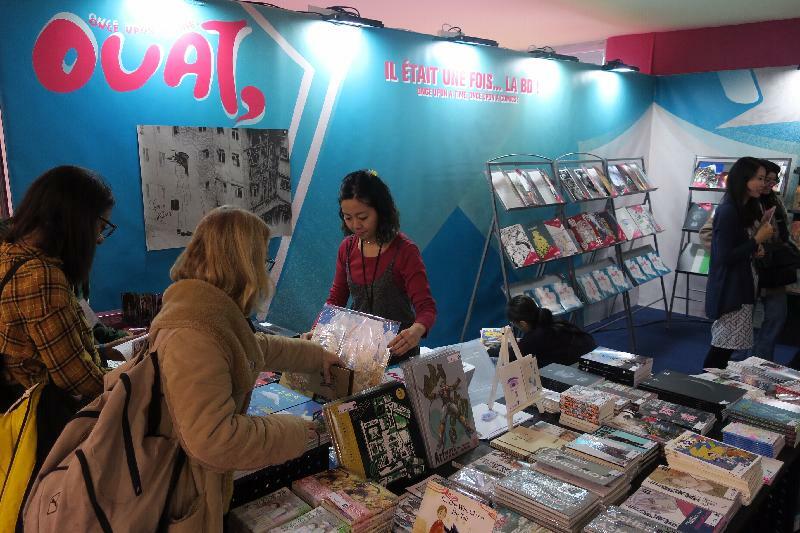 To expand the reach of Hong Kong comics, for the first time the HKAC also had a booth at the Festival's International Rights and Licensing Market to present Hong Kong comic books in French and in English to potential overseas publishers and professionals. Speaking at the opening reception for the OUAT! Hong Kong Comics Touring Exhibition today (January 25, Angoulême time), Deputy Representative of HKETO, Brussels, Mr Sam Hui, said the Hong Kong Special Adminstrative Region (HKSAR) Government supports the development of comics and animation, which has always been an important element of Hong Kong's popular culture. He noted in the age of the internet, there are new challeges and opportunities for the comics and animation industry to reach the new generations. He welcomed the translation of more Hong Kong comics into French to widen their reach. Mr Hui also underlined that Hong Kong maintains the protection of intellectual property rights to the highest international standards, keeping our copyright regime under regular review in pace with the rapid development of the digital economy to ensure that Hong Kong remains a place where creativity and talent can flourish. Ms Connie Lam, Executive Director of the HKAC, then introduced the Hong Kong comics industry and the activities of the Comix Home Base. This was followed by exchanges between the Hong Kong artists and professionals and the audience. Founded in 1974, the Angoulême International Comics Festival is Europe's best-known comics festival. Hong Kong artists first made a major impact at the festival in 2011, when the "Kaleidoscope" exhibition on the history of Hong Kong comics since the 1960s and the participation of a group of comic artists and publishers put Hong Kong comics in the spotlight. 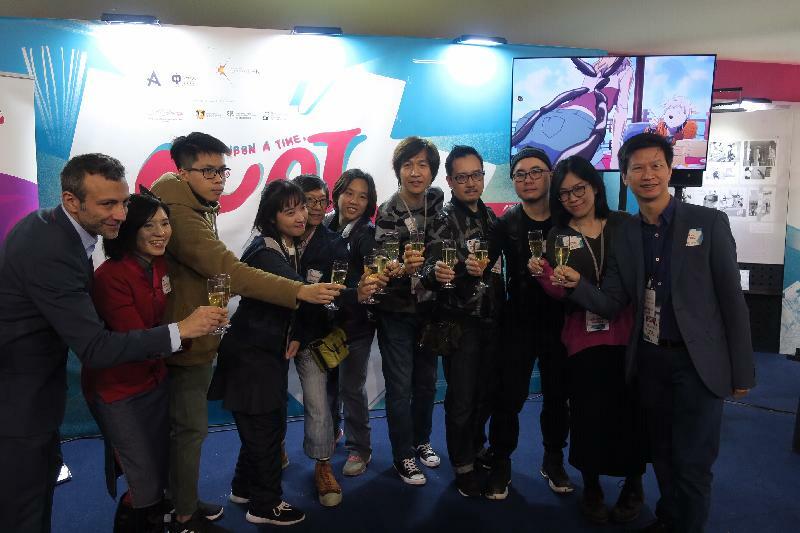 This year was the sixth time HKAC represented Hong Kong comic artists and professionals at the Festival. CreateHK is the dedicated agent of the HKSAR Government to drive the development of the creative economy. The Comix Home Base was therefore established to provide an exchange platform for new talent in comics and animations. After its first leg in France, OUAT! Hong Kong Comics Touring Exhibition will be held at Comix Home Base in Hong Kong in August 2019.